Individual components or subsystems usually are defined at different “layers” of the database, so the designer can view any number of them at once. 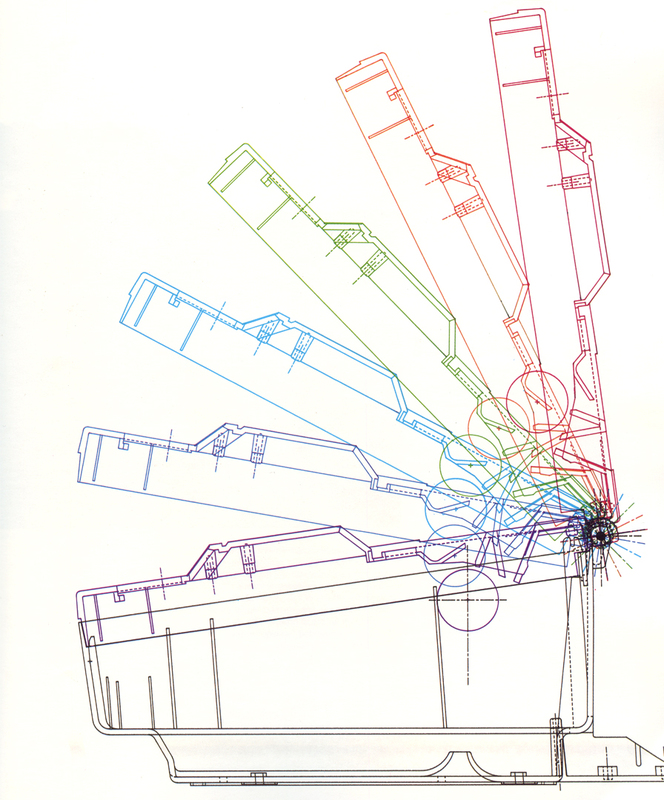 The different colors of this drawing of a high-speed computer printer represent different layers. Because the lid was defined on a separate layer, the designer was able to move it though its range of motion to ensure that no components interfered with its movement. For clarity, the lid was drawn in a different color for each position in the sequence shown.